Finding engaging outdoor activities these days can be a strenuous task considering how caught up in technology we are. Most of us spend a lot of time in front of the computer or with our smartphones in hand, and that’s why many individuals forget about the simple joy of spending a weekend day outside with buddies or family members. The nice thing about having a yard, for example, is that you don’t have to spend a lot of money on games for adults to play outside. You can come up with a variety of tricks that can keep a bunch of children entertained. Believe it or not, the simple things in life are way better than those that can help you buy more stuff. 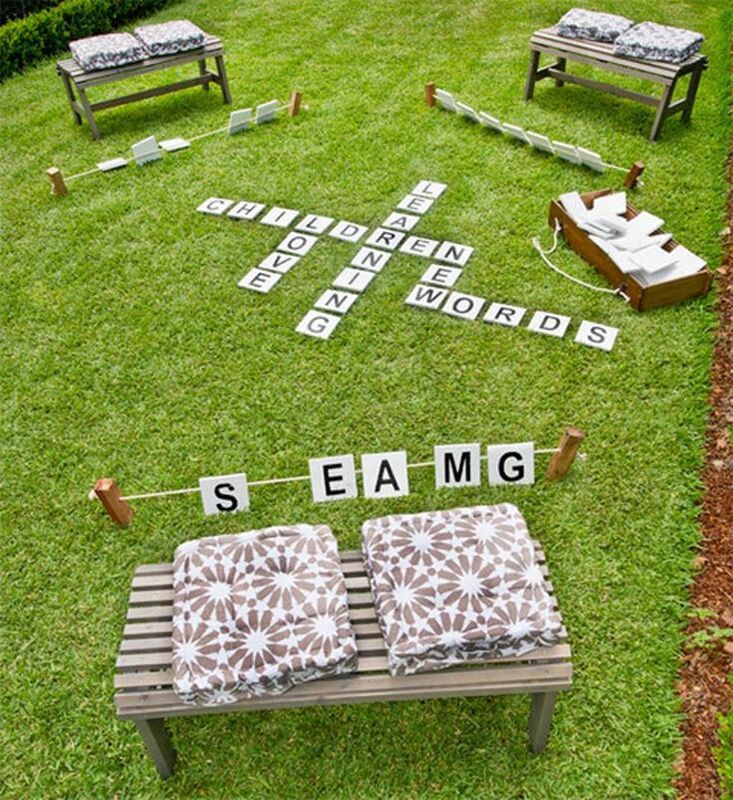 Depending on the occasion, you can use your creative skills to invent scary games to play outside with friends. These would make great choices if you’re looking for a way of spicing up your entertainment on Halloween. Of course, if you’re more laid back, you can always go for classic party games for adults, which could mean anything from Jenga to Cards Against Humanity or the Settlers of Catan. The point is to keep an open mind, whatever you’re looking for. To make it a tad easier for you to select some good games to play outside, we have created a guide that can take you through all of the essential aspects you should bear in mind. Just remember to take into account the preferences of those who are about to pay you a visit and make sure to avoid getting something risqué. 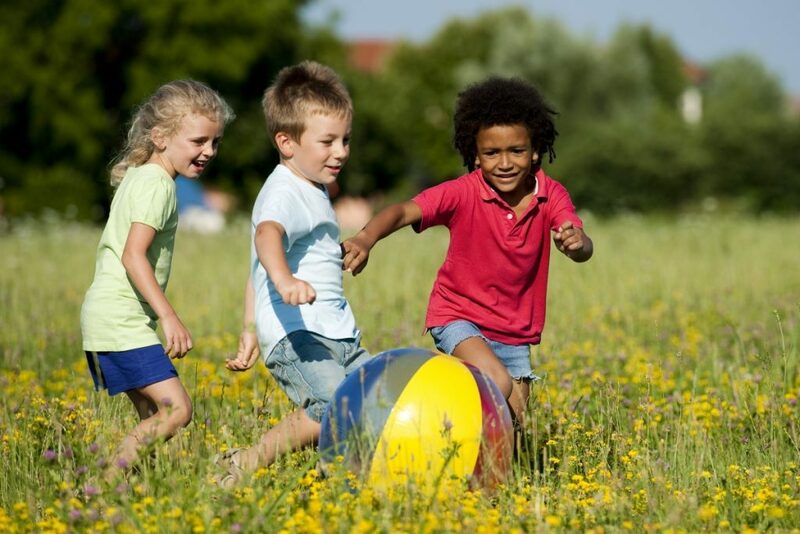 Fun running games to play outside are extremely entertaining for kids and adults alike, especially if they have nothing against engaging with one another. We all know that most children are more sociable compared to adults, and that’s because their social rules are simpler. They’re way more understanding and sometimes, more considerate of those around them, so it’s always nice to observe them while they’re running in the yard and having fun. Something that we feel compelled to point out is that some games might not work with kids just as they might not do the same for adults. That is why the age of the players has to be given some thought to before anything else. Sometimes, you don’t even have to make an effort and develop all sorts of new games. The best games to play outside are often those that you’ve tried out when you were a child, as well, so why not give a shot to Capture the Flag, Hide and Seek, Traffic Cop, Four Square, Jacks, and Marbles? In most cases, you won’t even need any supplies for all of these games. Other games to play with friends you might be interested in trying out are those that have become critically acclaimed in recent years. These range from Carcassonne and Dominion to Ticket To Ride and Stone Age. Carcassonne is particularly easy to learn and is, essentially, a family activity so it will involve all of your relatives and buddies. You can get your children to play with you as you explain the basic rules. The nice thing about Dominion, for example, is that it comes with an infinite variation of 500 cards, which is to say that you won’t ever get bored. Of course, board games can be played both indoors or outdoors, so if you’re not up for any physical exercise, we suggest you gather round a table and bask in the sun while you’re playing with your buddies. The only drawback to choosing such an alternative is that it might cost a pretty penny. Many board games aren’t especially affordable, and some might be as expensive as fifty dollars. It goes without saying that those that are less budget-friendly usually come with components and pieces that are made from quality materials and are likely to withstand the test of time. So, if you’re looking to get a game that you can play time and again, perhaps such an option might be a good idea. Running around aimlessly can, without a doubt, provide a good deal of physical exercise, but it will do less of a good job if you are looking to build the reflexes of your children and, perhaps, your own. Jumping rope and take care of this. It’s actually one of the common types of exercises used by boxers and martial artists when they begin their workout sessions. It stands to reason that this activity can help you lose some of the calories of a rich lunch. Marco Polo is just as fun if you have a pool, even an inflatable one. Sports and outdoor games often intertwine, in that Twister can be a cool alternative if you decide to go for one in the form of a blanket. Best of all, this type of blanket is machine washable, which means that you won’t spend too much time trying to rinse it with cold water and cleaning it with your hands. Of course, if you have some color spray, you can paint the twister design right on the grass. It is said that the best things in life are free and we’re not here to disagree in any way. If you have some time on your hands, it would pay off to check out websites like Instructables, where you can find an array of DIY projects that you can use to build various entertaining structures in your yard for your kids and even for yourself. Plus, most of these DIY pros upload videos on YouTube, and you can use them to understand how you are supposed to go about things if you want to make something fun with your hands.